READY TO FEEL THE SLEAZE AGAIN !! HRH is now into its 12th year and continues to deliver top quality Rock n Roll experiences around the Globe. It was by absolute fan demand that we launched HRH Sleaze, a much sought after genre, but one which hasn’t really been totally catered for. Sleaze Rock has always had a number of connotations and HRH fans will always have their own take on it, however its most common associations have been with Hair Metal and Hard Rock movements from the early 1980’s. These guys ruled the Radio and then mutated an influential streak that seemed to mould a lot of Swedish n UK acts particularly. HRH Sleaze III will see 20+ bands from these key areas and around the Globe descend into our Sheffield base on the 31st August & 1st September 2019, for a 2 Arena, 2 Day Sleaze Rock Ritual. Dress up, feel free and enjoy our latest HRH experience. As usual with the HRH Community, we will be featuring 3 HRH Hotels on the doorstep of the O2 Academy, full of nothing but people like you. We pride ourselves on being, one of the friendliest Rock Communities on the planet and we can’t wait to share our latest adventure with everyone. Killer Red Hot Deals and Hotel Packages are now on sale and demand has been off the scale. If your planning on joining this latest HRH Pilgrimage, then lock it down by either online or by calling Jess on 0207 193 1164. 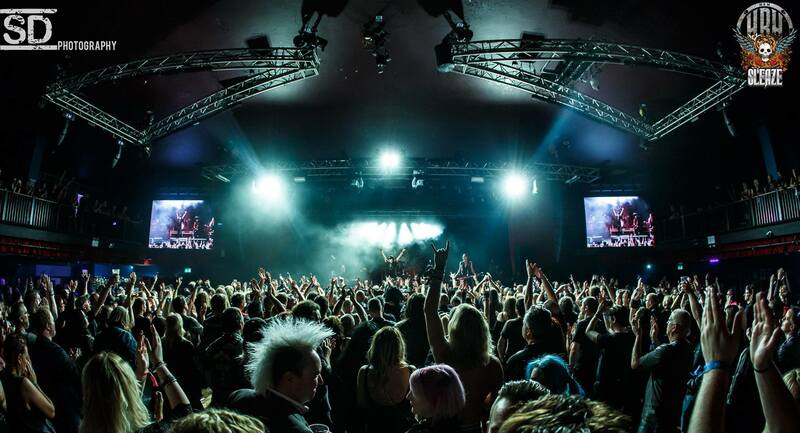 HRH Sleaze will take place on 31st August and 1st September 2019. There will be a Pre Party Friday night which is the 10th Cycle of Highway to Hell. Both the Saturday and Sunday will start approximately @ 13.30 / 14.00 until late. HRH Hotels will include English Breakfast on a Classic or Royalty basis. Royalty Pass Holders will have access to private balcony, (seated areas), private bar, cloakroom and toilets.